Pharma often accuses the NHS of being behind the curve when it comes to adopting the latest CAR-T therapies – but England’s health service is already doing the groundwork to get the latest CAR-T therapies to patients. With two CAR-T (chimeric antigen receptor T-cell) therapies under review in Europe, the NHS is preparing an action plan to get them to patients following their anticipated approval later this year. Kisaco Research’s Combined CAR-T conference heard that the government is to back three new centres capable of conducting CAR-T therapy and other kinds of specialist therapies. With two of the centres covering England, and one covering Scotland, the aim is that these will be the first in a network of centres across the country. They will be able to partner with the private companies to get the latest rare disease treatments to patients – this will include CAR-Ts but will also extend to specialist therapies deemed cost-effective by NICE. The move mirrors an approach seen in the US, where top scientists are drawing up criteria that hospitals can follow to get themselves accredited to administer CAR-Ts. In the US, the health system is struggling to implement CAR-Ts from Novartis and Gilead, not just because of their high price but also because it lacks the capability to match demand. At the moment there is a triage system in place, where only the sickest blood cancer patients get CAR-Ts, despite Novartis’ attempt to encourage their use with a novel pricing scheme where insurers only pay if patients respond to the therapy. As previously reported by pharmaphorum, NICE, backed by health economists at the University of York, has already done a mock assessment of a CAR-T therapy and found that the strong efficacy figures involved will mean they are likely to be cost-effective for the NHS to use. This is despite the well-known drawbacks of potential side effects, intensive treatment, and the monitoring needed should these adverse effects become severe. Once CAR-Ts are approved, NICE will be ready to begin an assessment, most likely using the highly specialised technology pathway. This was recently used to approve GSK’s very rare disease drug Strimvelis – a treatment for the very rare condition ADA-SCID, where patients lack an enzyme crucial to the proper functioning of the immune system. The government has made the move following its pledge to develop the UK as a leader in cutting-edge therapies, which it sees as an important generator of revenues after Brexit, as well as bringing health benefits to the population. 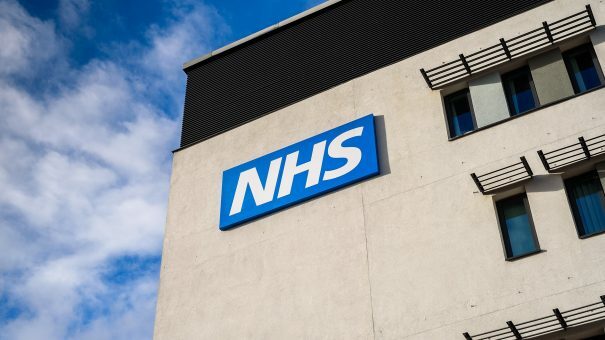 Magda Papadaki, head of product and process innovation at the Association of the British Pharmaceutical Industry (ABPI) trade body, said the proactive approach of the NHS, the government and NICE was a “refreshing change” from its usual approach to cutting edge therapies. But the question remains whether the NHS will be able to keep pace with the research into CAR-Ts: in the coming years many more are likely to reach the market. A recent review of the global oncology pipeline by the Cancer Research Institute found a grand total of 291 different CAR-T therapies in development, with no fewer than 162 of these already in clinical trials.